You’re coming to Serbia and you don’t know a single word of Serbian? You’re worried if the locals will understand you? Or you simply want to learn Serbian? No problem! We’re here with a mini-dictionary with phrases that’ll make you laugh, make your stay in Serbia pleasant and enable you to communicate to Serbs without a hitch. So, let’s get started! Serbia is a country where you’ll surely make new friends. That we can guarantee! A word that’s used in Serbia to denote a number of things and one that you’ll hear frequently is “Brate”. From its original meaning – brother – or something you call a good friend to a catch-phrase you would say when you’re angry or annoyed, “brate” is a vocab staple. So don’t be surprised or confused if you hear it in all sorts of situations and with different kinds of meanings. In Serbia “we are all brothers!”. Who said “Živeli”? 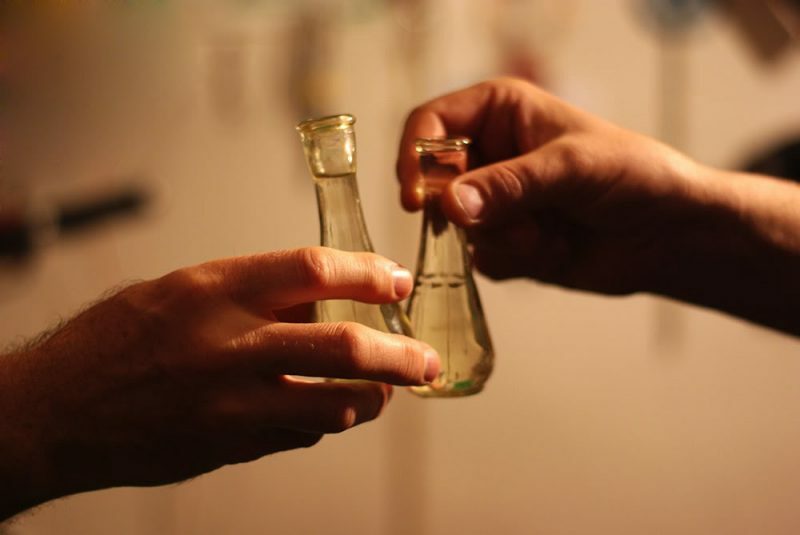 When talking about toasting, how could we not mention the Serbian national drink – “rakija”? Yes, you’ve got to remember this word well because it is also one of those you’ll be hearing a lot. 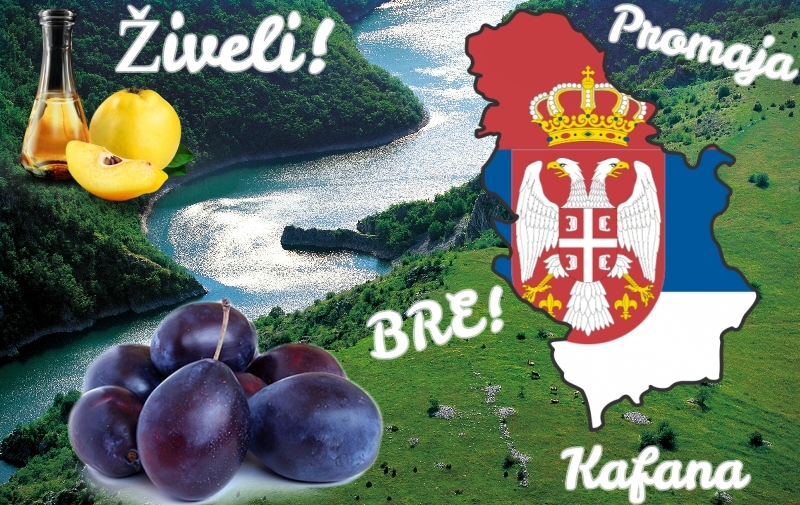 The synonyms for the favourite Serbian drink are “šljivovica”, “prepečenica”, “domaća ljuta”, “rakijica” and at least a dozen others which have to do with the kind of fruit the rakija is made from. 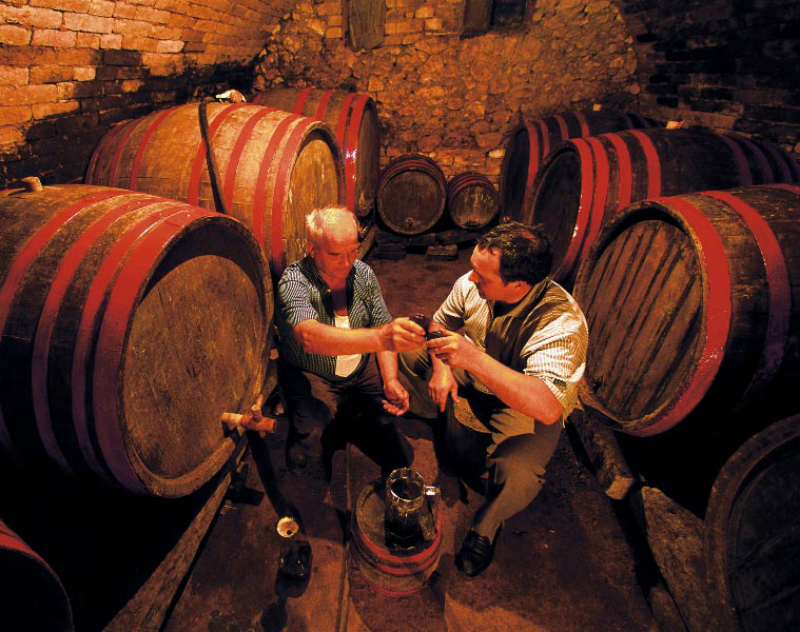 So, when in Serbia, don’t forget to try “rakija” and say “Živeli!”. Even though it is true that learning and remembering the word “promaja” won’t do you much in basic communication, this text isn’t a typical course crash-course dictionary for Serbian but a mini-guide through the most frequent, fun and typical Serbian words. And “promaja” is by all means one of them. So, what does it mean? “Promaja” is the only or one of the rare Serbian words there is no exact translation for. It does basically mean “draft” but in Serbia it is so much more. Does that mean that Serbs invented a whole situation and the word for it? Exactly! 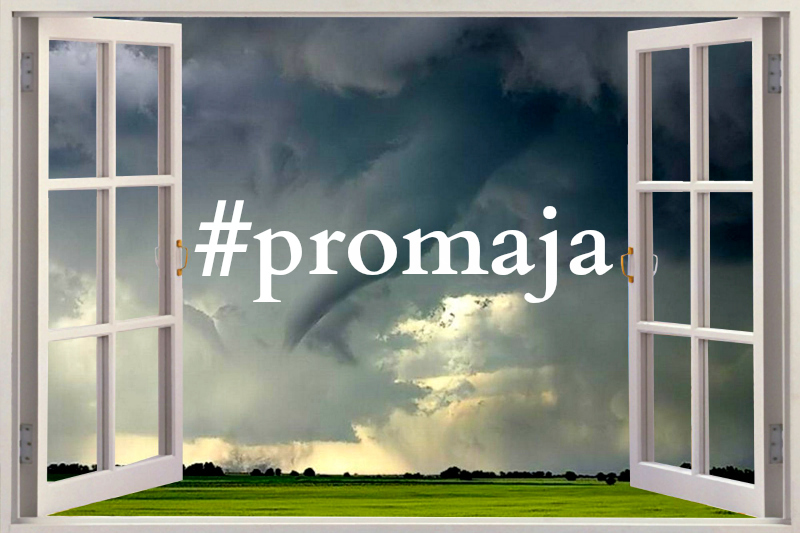 Everyone in Serbia will find it hilarious that you know this word, and you – better get ready for hearing a bunch of moms and grandmas saying “Close that window, the promaja will kill you!” an awful lot. 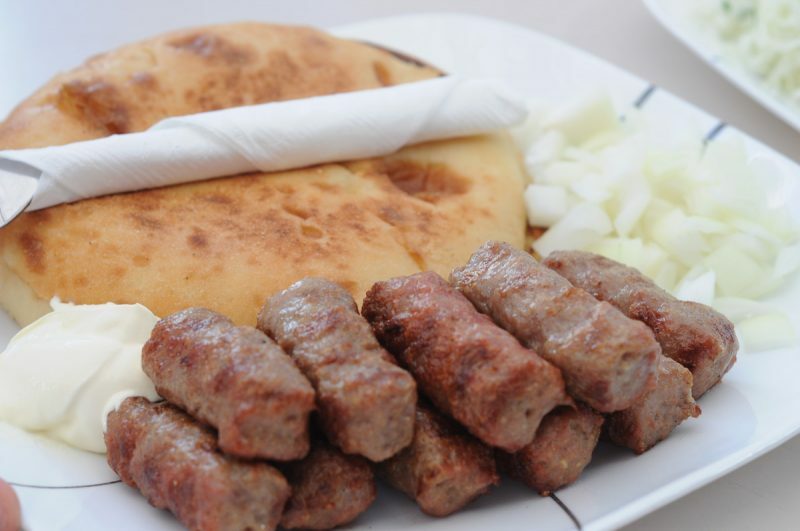 If you should fail to learn to pronounce the word “ćevapi”, you’re at risk of starving in Serbia. We’re joking, of course! Still, this word will enable you to order one of the most popular traditional Serbian dishes and enjoy its deliciousness. So – get down to it! Apart from the word “ćevapi” or “ćevapčići”, it wouldn’t hurt if you learned some other names of popular Serbian dishes. “Burek”, “sarma”, “ajvar”, “kajmak”, the Karađorđeva steak, “komplet lepinja” and “gibanica”, to name a couple. 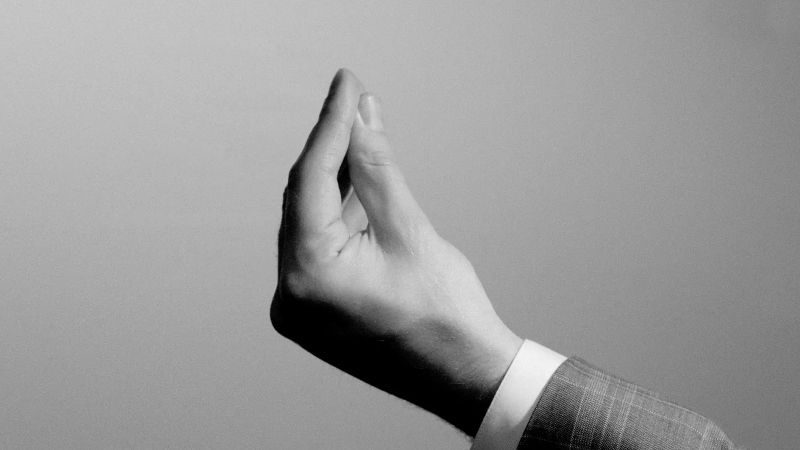 All that remains for you to do after that is say “Prijatno!”. How to simply translate “kafana”? 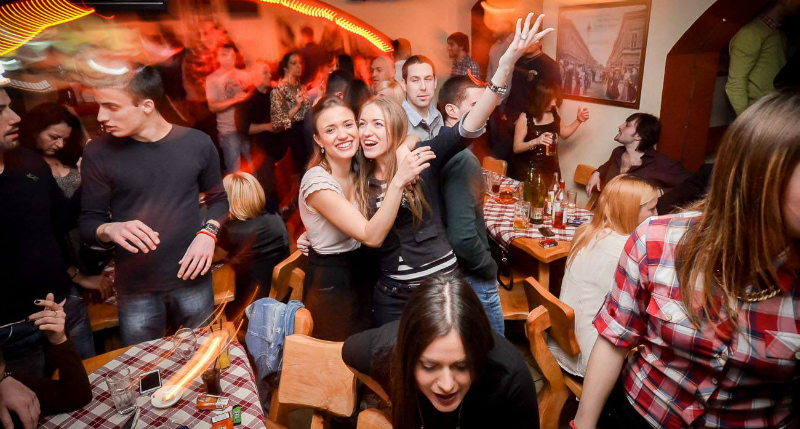 The most similar foreign term would be “tavern” but a kafana is so much more than that. It is the centre of life in Serbia, the place where everything happens, where people laugh, cry, celebrate and mend broken hearts. It’s where the best food is eaten and the best music is played. It is a complete experience. Because of all of that, you have to include this word into your vocabulary. That’s the only way you’ll understand why so many Serbian songs are dedicated to this institution and why so many nights are spent there! The first Serbian word every foreigner learns to say is the famous “bre”. You hear it everywhere and all the time. It is (subconsciously) inserted at the end of every single sentence, regardless of the topic or speaker, thus snatching the title of the most frequently used word in the Serbian language. The beloved “bre”, with is vibrrrant “R” or looong “E”, doesn’t have any particular meaning but is usually used to stress something. Because of that – when you hear the word “BRE”, you KNOW some crazy story is about to be told! Bearing in mind that Serbs celebrate an amazing number of 78 slavas, it is very likely that you’ll find yourself in Serbia during one. That’s why it is necessary for you to learn this word and understand what it means. Slava is a term used to denote the celebration of the Patron Saint’s day. It is one of the most important holidays in Serbian households which is always accompanied with a number of customs and traditions. 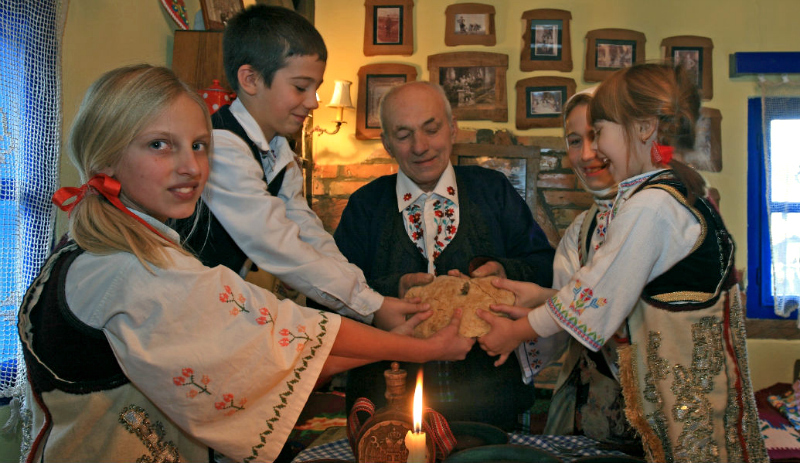 One more thing – if you’re invited to a slava, it is impolite to decline the invitation! In Serbia there is a saying, a rule, which goes “You needn’t send an invitation for a slava”, meaning you’re just expected to come and you don’t need to get a formal invitation from the host. But if you’re invited it is considered an insult if you don’t show up. Bonus tip: When you arrive at a slava, you’re supposed to say: “Srećna slava domaćine!”. There is a solid possibility that you’ll get dragged into a “kolo”. But what is a “kolo”? 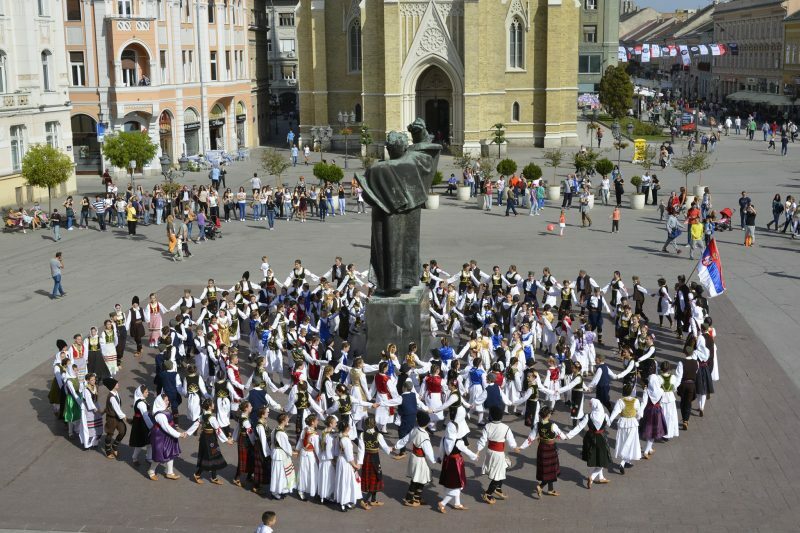 It is a traditional Serbian folk dance that looks like a chain of people holding hands dancing in a circular line. But don’t worry – it always fun to dance a “kolo”! Until you learn the steps, you just have to follow the lead of the people next to you, and soon enough you’ll be dancing like one of them. A rakija or two will help the learning process. All jokes aside, the experience of the Serbian kolo is one you’ll remember and retell for a long time! And if you want more of kafana fun, more glasses of rakija, more good times with your “braća” and more ćevaps, just say “JOŠ, bre!”. Serbs are merry, temperamental and hospitable people, and they will gladly prolong the good times and extend friendships! “Public diplomacy [JB emphasis] is a public face of a traditional diplomacy”. FILE – State Department Spokesperson Heather Nauert speaks during a briefing at the State Department in Washington, Nov. 30, 2017. STATE DEPARTMENT —U.S. President Donald Trump has announced he will nominate State Department spokesperson Heather Nauert as the new U.S. ambassador to the United Nations. Nauert joined the State Department in April 2017 after a career in broadcast journalism, first serving under former Secretary of State Rex Tillerson, and then under current Secretary of State Mike P..
SEOUL, Mar. 14 (Korea Bizwire) — A South Korean non-governmental organization said Monday that it will launch a youth team in Ukraine this week to step up promotion of South Korea and its policy and culture in the European region. The students will serve as public goodwill diplomats whose main job is to produce digital content intended to promote South Korea’s policy, history and culture and share them with Ukrainian people interested in the country via social networking, it added. Based on the content they will produce, VANK said that it plans to promote South Korea in the European region by posting them on mobile websites to be launched each for Ukrainian and Russian users.